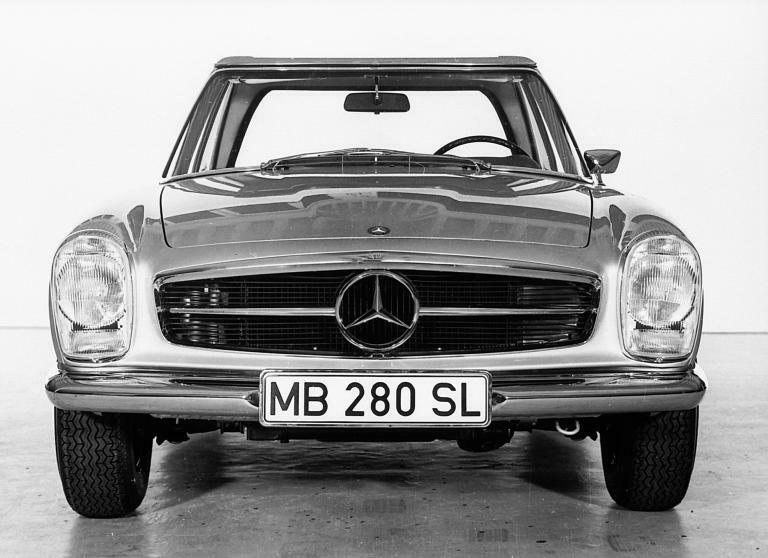 This chapter explains the data cards and codes for the 1963 - 1971 Mercedes-Benz models "Baumuster" (platform) W113: 230SL, 250SL and 280SL "Pagoda"
During the production period of the W113, from February 1963 to February 1971, 48,913 vehicles were produced. Prior to this, additionally at least 25 prototypes were built, with completely different prototype serial numbers, some of which were also subsequently sold to customers. Many of these cars are still on the road - at least in season and when the weather is nice. Many have been partially or totally restored, and often their owners proudly perform this work themselves. In these forums, many questions have been raised regarding the various numbers and codes on the data cards and on the labels and plates affixed to the vehicle. There are several websites with lists of Mercedes-Benz options and other codes, but they usually cover the complete post-war period. Since the codes identified different equipment over the years, the reader then has to decide which description for a specific code applies to his car. This information applies specifically and only to W113 vehicles. (1) Numbers in parenthesis refer to the source of the item, see chapter Sources below. Disclaimer: The author readily admits that this website may contain errors and omissions. This website is a compilation of questions and answers about this topic in the Forum-section of the website of the W113 Pagoda SL Group, and references other pertaining websites. It contains text, photos etc. from various contributors (see Sources). Excerpts of the content of this website were previously published in several issues of Pagoda World. Pagoda World is the magazine of the Pagoda SL Group.